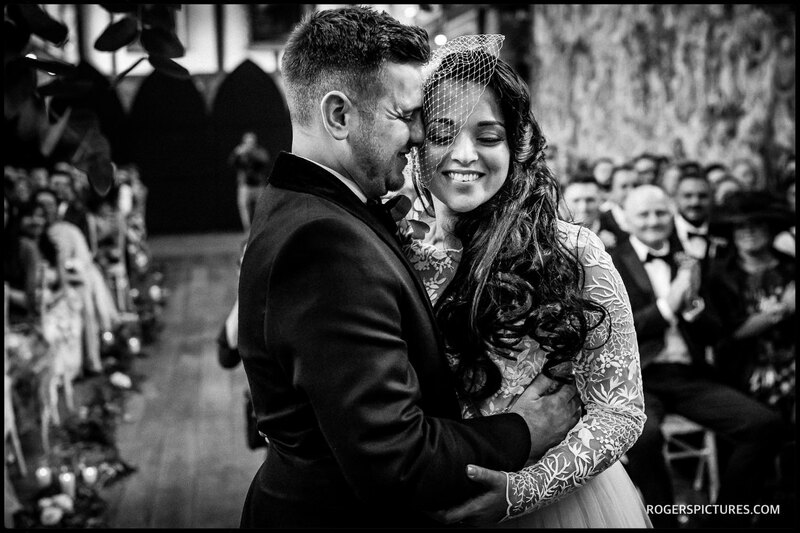 Some early Spring sunshine gave Rex and I a perfect day for story-telling photography at Sunita and Sam’s Spring wedding at Hatfield House. 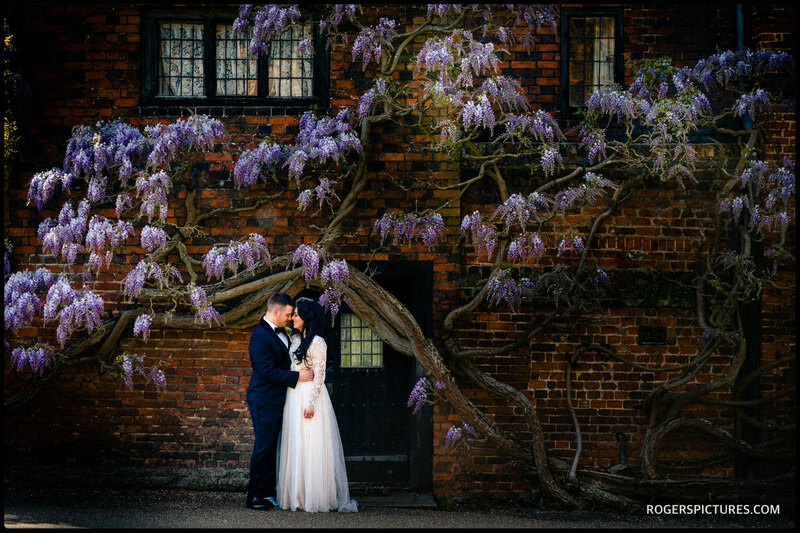 We both started our photography during the couples preparations at Lawn House within the grounds of Hatfield House. This newly opened guest house is the perfect place to get ready, as it’s just a very short walk to the Old Palace where the wedding ceremony was being held. The Old Palace makes a superb background for a wedding ceremony as well. 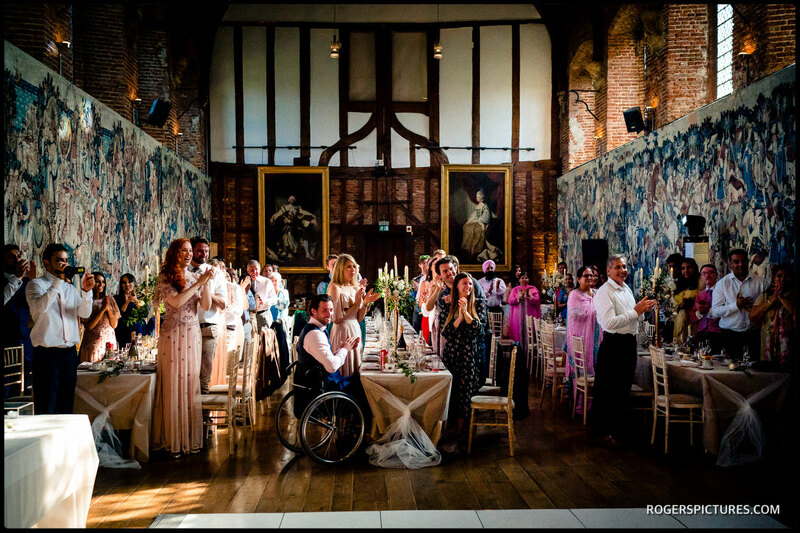 The banqueting hall is steeped in history, something you can’t fail to take in amongst the ancient portraits and oak beams. On a Spring day like this, the gardens offer a beautiful setting for relaxing with family and friends after the wedding ceremony as well. On this occasion, the early Spring mini-heatwave saw some guests retreat to the shade and cool interior of the nearby Riding School, before heading back to the Banqueting Hall for the wedding breakfast and speeches. After the speeches and meal, the dancing got the evening’s entertainment going, with a wood fired pizza stall set up outside to keep the guest going to the end of the celebrations. Check out our favourite pictures in the slideshow above! 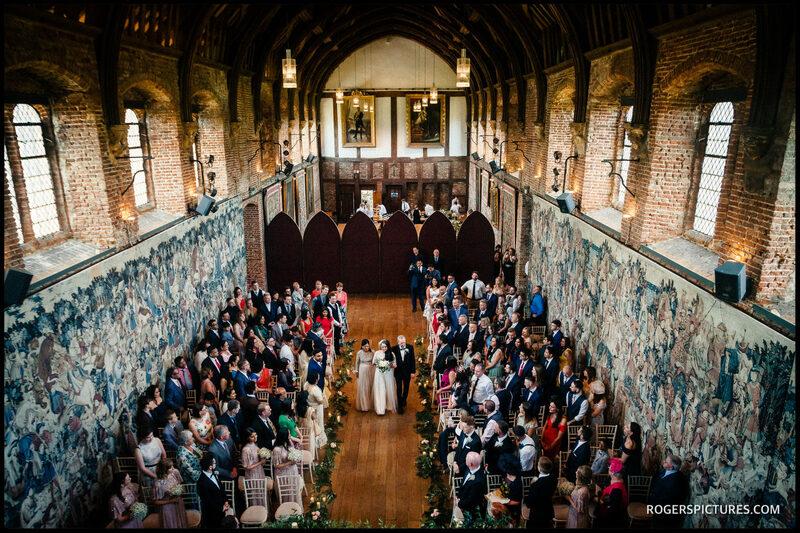 If you’re thinking about Hatfield House for a wedding, get in touch for some more information, or check out some more of my work as a Hatfield House photographer. 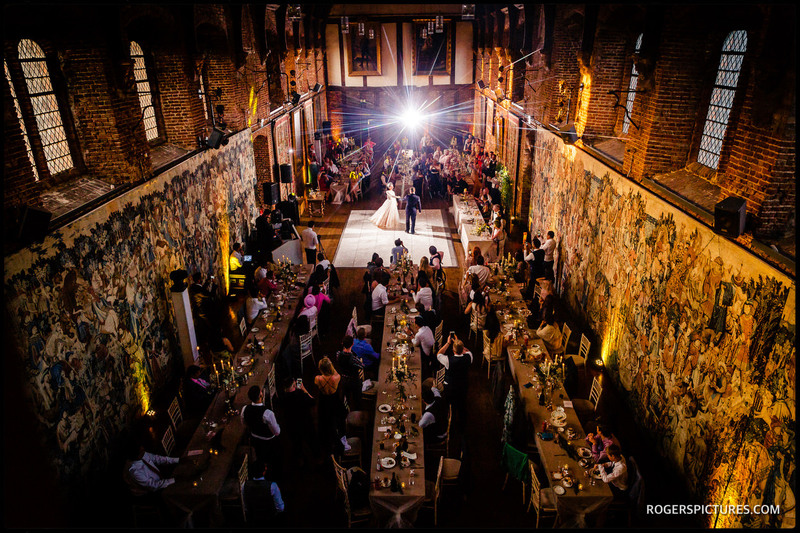 You might also like this Summer wedding at Wasing Park, or a Spring wedding at Farnham Castle. 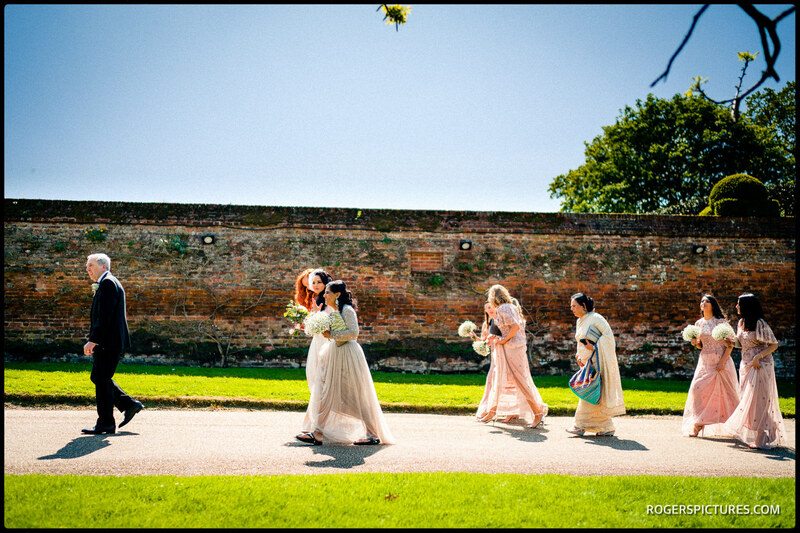 Please enjoy these pictures from this Spring wedding at Hatfield House.